The people in Rio de Janeiro were waiting over 10 years for the metro line which would connect Zona Sul (South Zone of Rio) with Barra da Tijuca. The numerous deadlines were never met - even the given deadline of 2014 Soccer World Cup was missed. Finally the city managed to open the line (Linha 4) for Olympics. 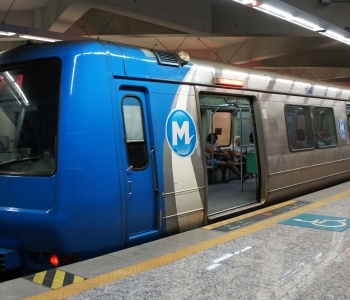 During the 2016 Olympic Games the metro was open only to people with tickets to the games. After Paraolympics the new metro line was opened for general public. Barra has many of the best beaches of Rio de Janeiro city, so it is great to take the 15-minute metro ride to get there for a weekend beach-day, instead of 45 minutes to 1,5 hours with the bus. You can do it now on Saturdays (starting 5th November 2016), but unfortunately it is not possible on Sundays. The line operates Monday to Saturday 6-21.